Forgottonia holds memories and dreams in the same settings. Tracing	the	past	and	planning	for	the future stroll hand in hand. I sought a date on the grave of one of my family members who had died in the WWI of Battle of Meuse-Argonne. This cemetery provided a quiet moment for me. The moon rose while I was there, before I hurried on to get to my next commitment. In my search to learn more about Elmer F. Davis (my great-uncle) I became aware of the painting below. 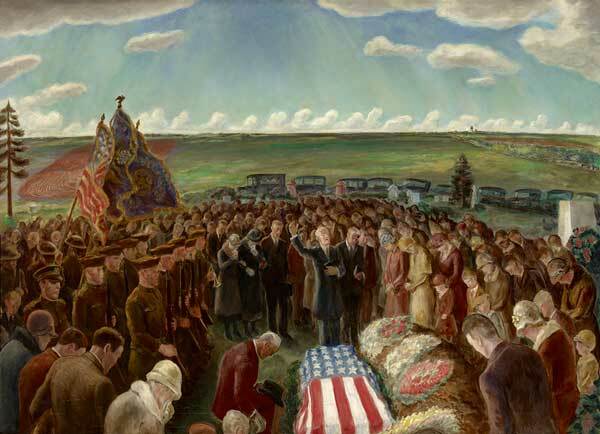 Painted to depict a real funeral for a Private William Lewis Davis from Winchester Kansas. 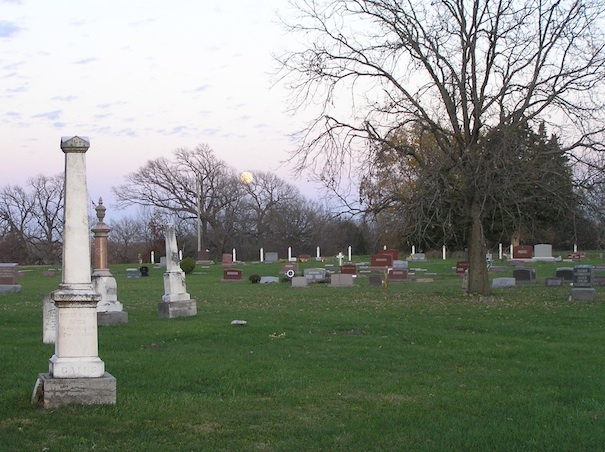 Click painting to read about the event, a similar scene occurred at the cemetery pictured above. The lives of the two unrelated Davis' had a striking parallel. Forgottonia is a place where you can endlessly wander the lonely roads, and never once miss the fast lane. 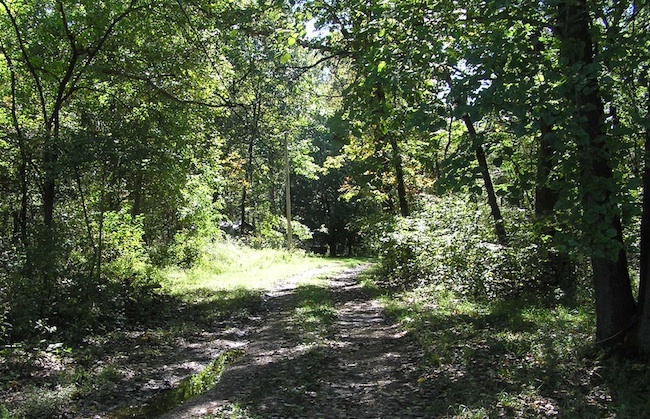 The name Forgottonia captures an image of a region, off the beaten path, which is very true of Western Illinois. A Multifaceted Land Enriching Lives through Many Perspectives. Copyright (c) 2013 Forgottonia.org. All rights reserved. Design by FCT.